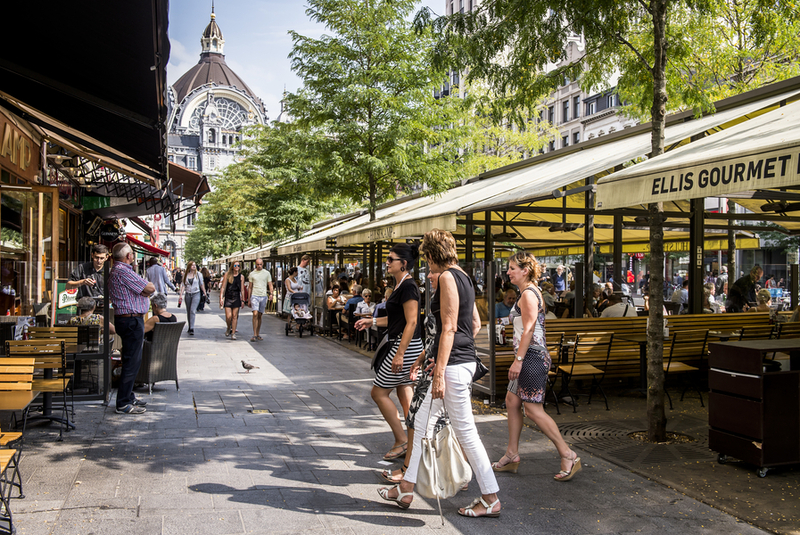 The Station District is located around Antwerp’s magnificent Central Station. It is split in the exclusive diamond district on the one side, with Chinatown on the other side. 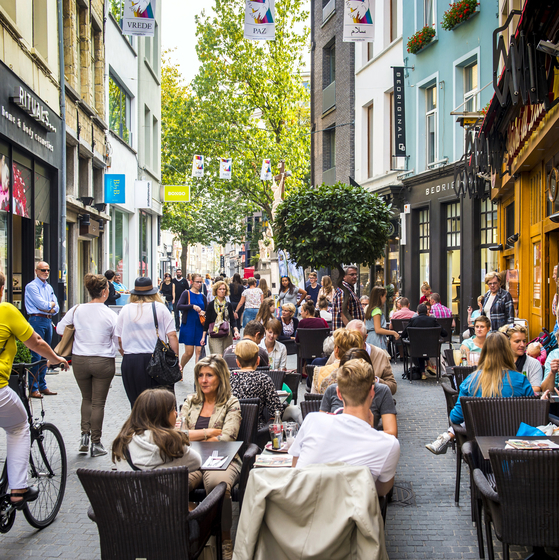 In between you’ll find a wide boulevard with plenty of terraces and shops. 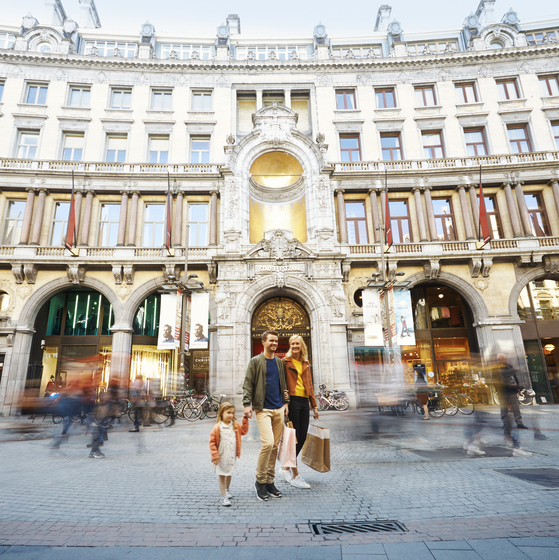 The Station District is also home to the ‘Diamond Square Mile’, Antwerp’s diamond district. This square mile is home to 1,600 diamond companies and four diamond exchanges, making it the world’s diamond capital. There are also plenty of diamond traders and jewellers who will tempt you with their dazzling showrooms. Here you can purchase the jewel of your dreams, but always make sure to go to shops with the ‘Antwerp’s Most Brilliant’ label. This label stands for reliability and quality. Chinatown is located opposite Central Station on Van Wesenbekestraat. Just look for the colourful pagoda gate and the marble lions that protect the inhabitants of this street. Step into a challenging culinary world, with Asian speciality shops and supermarkets. Designcenter De Winkelhaak is just a stone’s throw from Chinatown. 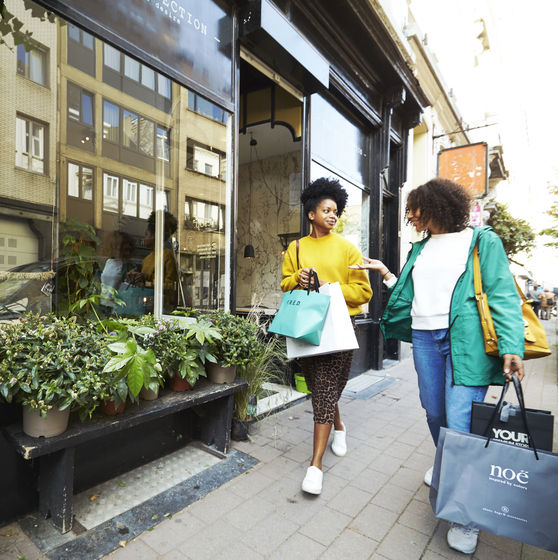 If you exit the train station through De Keyserlei, you’ll discover a wide avenue full of cosy terraces, exclusive jewellers, fun shops and covered shopping galleries. The start to a fun day of shopping.